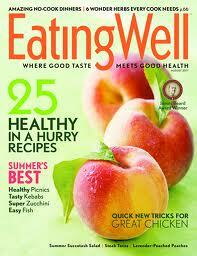 Eating Well Magazine, recently purchased by Meredith Corporation, also parent company to giants in the magazine world including Better Homes & Gardens, Traditional Home and Parents Magazines, chose Simpson Cabinetry to custom design and build their test kitchens and video kitchen in their new Shelburne, Vermont location. Faced with a critical deadline and short turnaround time, we designed and built five kitchens for their new space. These kitchens are as gorgeous as any of our kitchens designed and built for homes but they not only needed to be beautiful, it was critical that they would be highly functional and durable to withstand the amount of cooking that goes on in this intense, high volume, commercial setting.